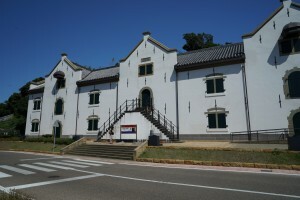 Glover House in Nagasaki was the first Western style building constructed in Japan. 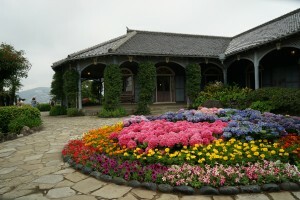 It was the home of Thomas Glover, a Scottish man who was instrumental in helping to industrialize Japan in the Meiji Era. 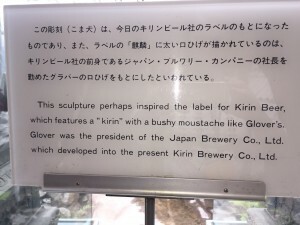 He is mostly known for founding the shipbuilding company that later became Mitsubishi, but he also founded the Japan Brewing company, which later became Kirin Brewery. 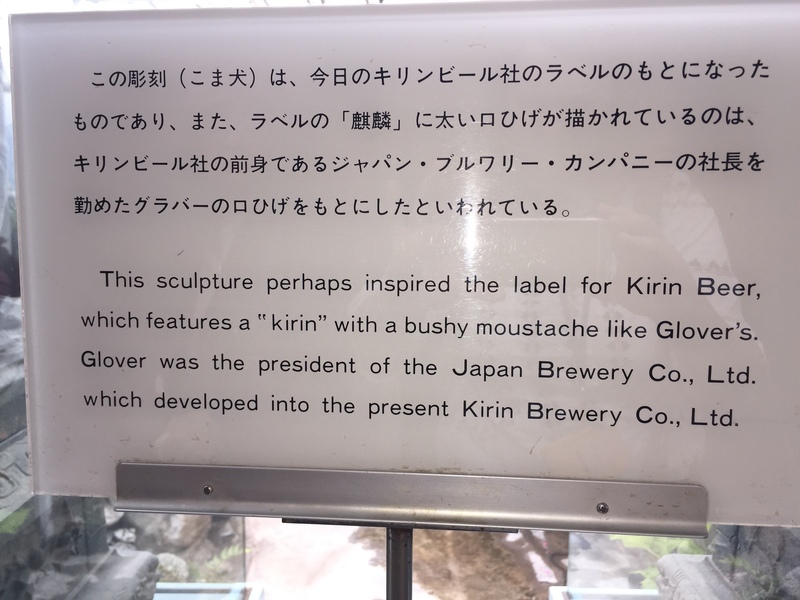 This stone lion at his house may have been the inspiration for the Kirin Beer label! 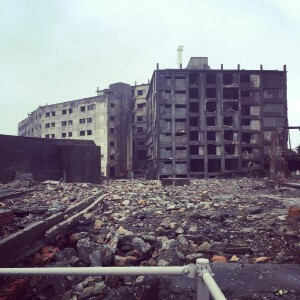 Hashima Island (also known as “Gunkanjima” or battleship island) is an island in Nagasaki prefecture that was a coal mine from the Meiji Era until it was abandoned in 1974. Thomas Glover was one of the founders. In its heyday in the 1950s and 60s, it was the most densely populated place on Earth, but after listening to the tour guide, I got the impression that the residents must have thought they were living in the future, as if it was a colony on the moon! The buildings were modern for the time and they always had first run movies in the movie theater. The pay was good and they had nowhere to spend it, so the latest products were shipped to the island store. At a time when only 10% of families in Tokyo had a color TV, 100% of the residents on Hashima Island had one! This island is mostly known these days for being in the James Bond Skyfall movie and is famous for people who like modern ruins. 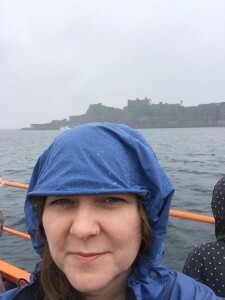 The tour guide said almost every week a former resident comes to visit, but they never take photos because they prefer to remember the island in its glory days. 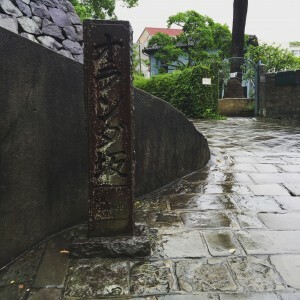 The Dutch slope is close to Kwassui Women’s University. 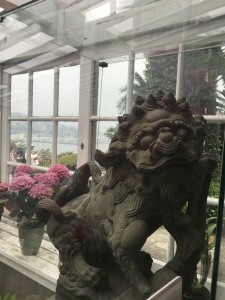 In one of the Western houses nearby, now a museum, I read an interesting story on its founding. The missionaries wanted to create a college for women. At a meeting, they asked, “Do we have any students yet?” A woman named Elizabeth Russell replied, “We have one!” The university was started with only one student and two teachers! 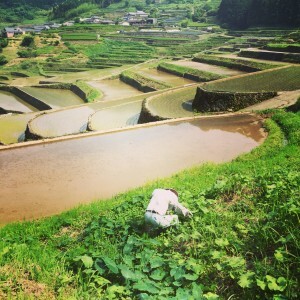 We went to a small pottery town in Arita, Saga Prefecture. For lunch we went to a coffee shop that is well known for serving yaki curry in a bowl made in Arita; a bowl you can keep after you are finished eating. 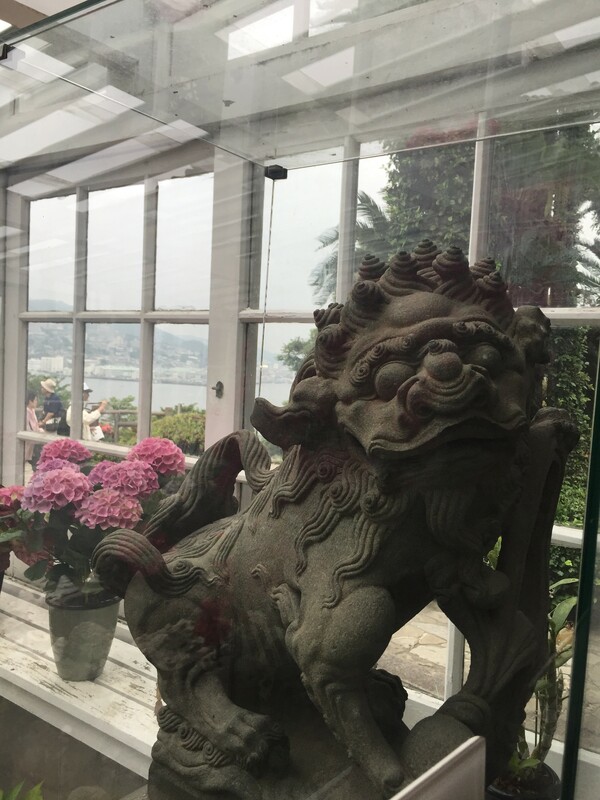 While we were eating, a Chinese family came in. They sat down and ordered lunch. . .in English! They couldn’t speak English well, and neither could the Japanese waiter, but using this shared language they could get the job done. It really showed how English is becoming an international language! 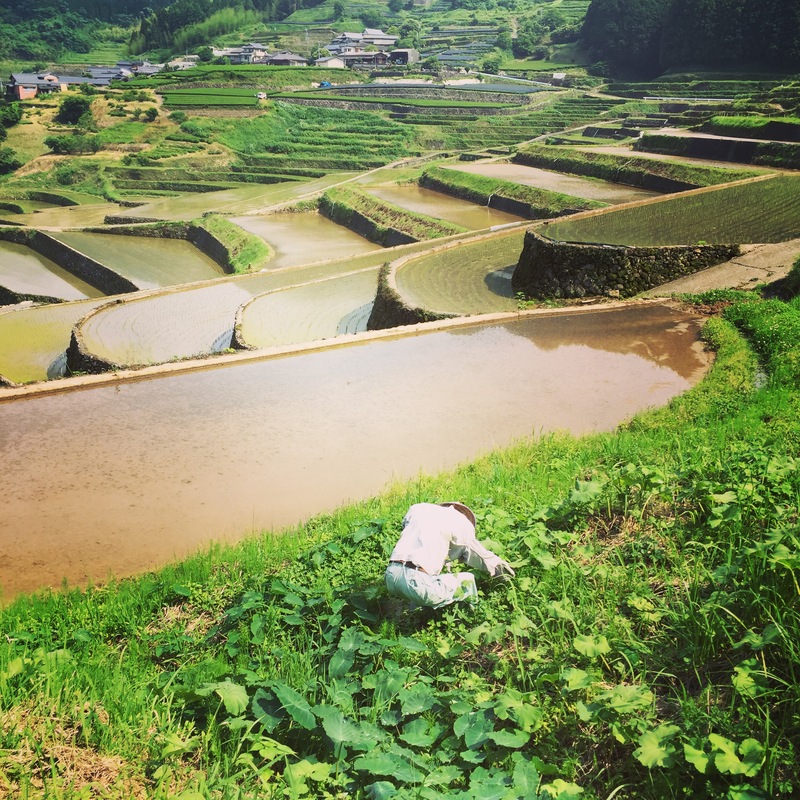 Even the Japanese scarecrows are hard at work! 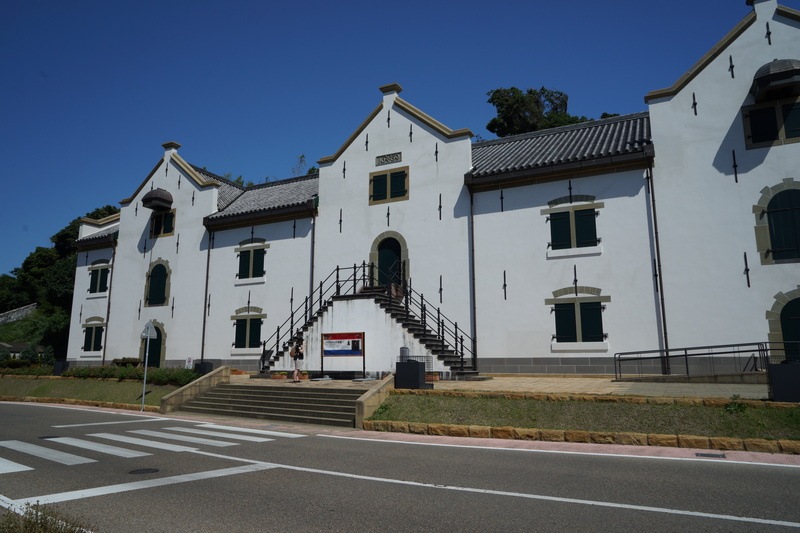 At the end of the 16th century, the Dutch set up a trading base in Hirado. After a few years, it became very successful. 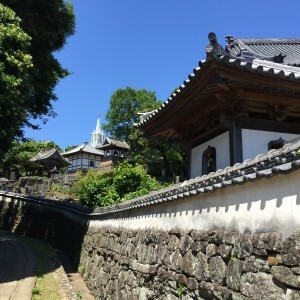 Unfortunately, it was also the beginning of the Edo period, a time when Japan began to isolate itself from the rest of the world. The Shogunate was suspicious of the Dutch traders and were not amused that they were spreading Christianity. They took further offense when the trading post was built with braces that looked like crosses. A year after it was built, they ordered it destroyed and the Dutch were only allowed to trade in Dejima. Perhaps because of Hirado’s history, this is one of the only places in Japan where you can see a temple and a church next to each other. 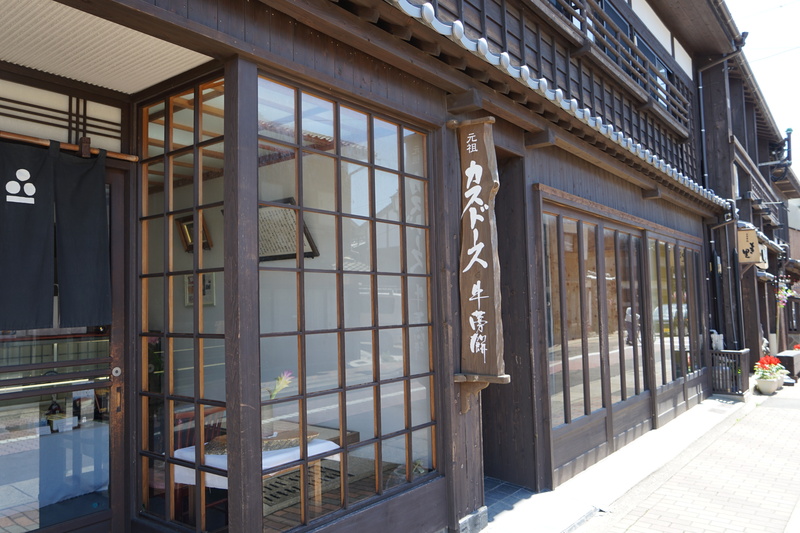 This shop in Hirado serves a special kind of castella called “casudous”. Castella is dipped in egg, fried, and sprinkled with sugar. 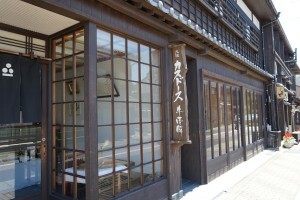 Since the Meii Era, every Japanese emperor has enjoyed casudous from this shop.